Create Forms associated with specific Matter Categories, Matter Subcategories, or for your entire Practice. 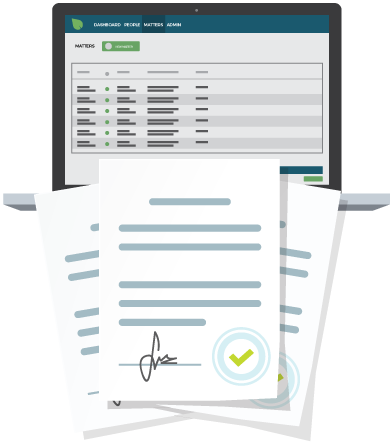 Forms help to capture the specific information you need for a Matter, and it's related Documents, ensuring effective record completion and consistency each and every time. Today, Users can build their own Templates using the Form Keys found in Denovo. These Template Word documents then are uploaded, and create the Document Automation functionality for specific Matters. While creating document automation from scratch is an investment of time, the results of efficiency and consistency across your firm are substantial. Our in-development Denovo Marketplace will expand your Firm's efficiency with the option to purchase and immediately use individual documents, or complete document packets. This feature is especially useful for new firms just getting started.